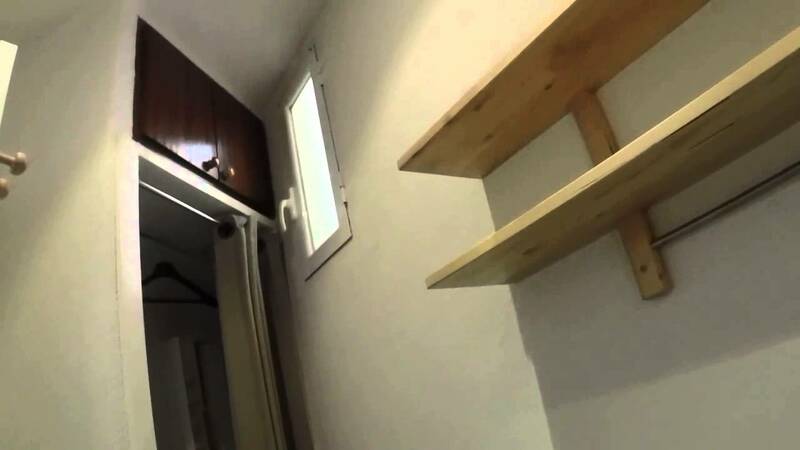 This 50m², 3 bedroom apartment would be a great option for students on a budget. This is a great price, made moreso by the fact bills are included. This interior flat comes with a fully equipped kitchen and one bathroom. This area is great for students with many of the cities universities nearby, easy access to the centre and lively nightlife. The radiators and water are both heated with natural gas. Clothes can be dried from the washing line in the interior patio. All rooms have individual locks. The minumum stay for the flat is 150 days. Wi-Fi and water are included in the price, but all other utility bills (gas and electricity) are additional. The rooms are very well priced and utilities are included. This is a great location, with great connections and opposite ICADE university. The kitchen is fully equipped with oven. The flat is located in a building without a lift, however it is only located on the first floor. All the rooms are interior so there is less natural light than an exterior apartment. This is compact flat and has no living room. The landlord, who speaks English, asks for a one month deposit in cash and ID or passport.There is a standard lease contract and the flat is only available for female students. The nearest metro station is Arguelles (Lines 3,4 & 6) and it is conveniently located only 400m away from the apartment.